Camping hasn’t changed much since the days at Smitty’s, on the outskirts of New Paltz, except maybe the cost. If you had a car back then, it was $1.75 to park overnight. Camping was free. 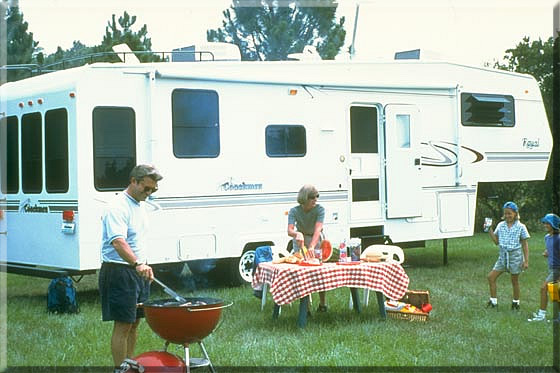 Today it could cost $30-$50 per night for an RV hookup. Since everyone loves free, we want to bring back free camping in America. Do you know how much it costs to take a family of four to a major league baseball game? Watch the game on your tablet and take the family camping instead. Here is a list of FREE N.Y.S. campgrounds for RVs, as compiled by www.freecampgrounds.com . For a complete list of free campgrounds in your state Click Here!